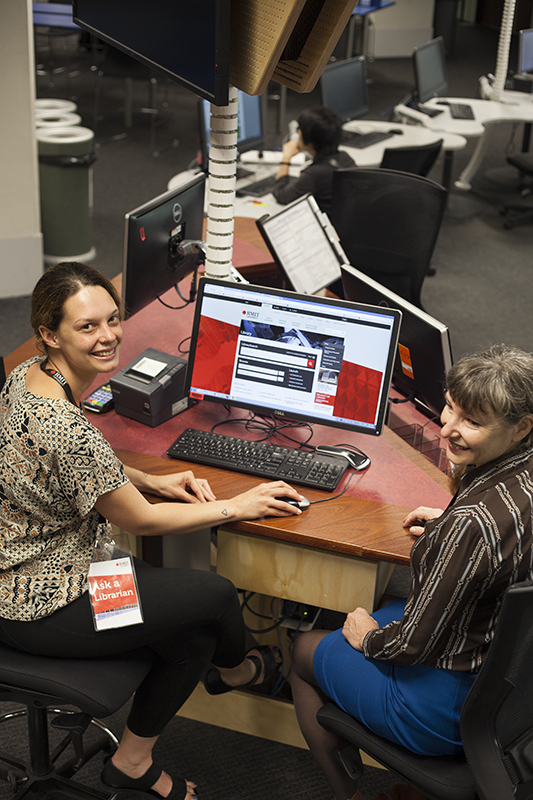 The new service point at Swanston Library is now open! We've replaced the old Service and Enquiries desk with a new service point. Designed in collaboration with Lyons Architects the new triangle shape allows Library staff to work more collaboratively with users in side by side arrangement. The service point is height adjustable and provides full accessibility for all users. It's a one stop shop for all Library related questions, whether you want to know about borrowing, holds, or need some help finding journal articles for your assignments. The new service point will meet the changing requirements for our new, dynamic library service as part of the New Academic Street (NAS) project.